Of all the Shounen anime generations we’ve seen, we chose the ones that stood out the most, those who represented the genre, in this top 10. Within anime one of the first genres identified was shounen, which focused on the young male public, thus differentiating itself from shojo, which was aimed at adolescent girls. Throughout its generations, it’s had several exponents who managed to conquer the world’s public. Of all the series that have gained loads of fans for years, we’ve selected the best ones in this top 10 shounen anime. 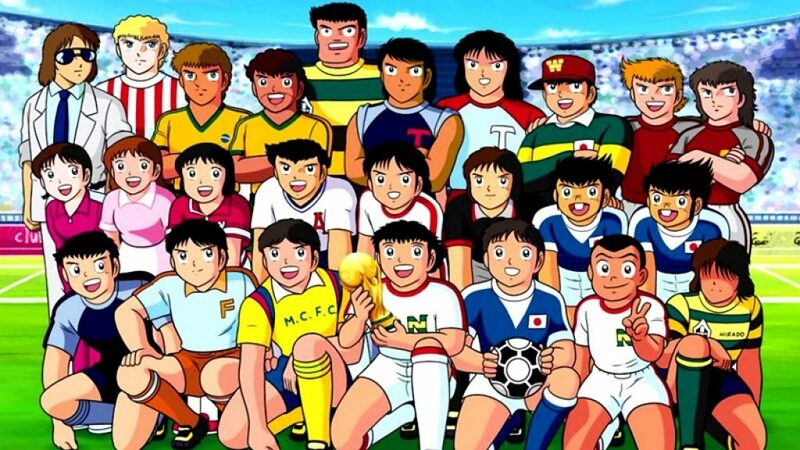 Known as “Super Campeones” in Latin America, this anime was created by Yoichi Takahashi and released in 1983. Based on the homonymous manga that told the adventures of Tsubasa (Oliver Atom in these areas), a boy who joined his school’s football team and dreams of being the best striker, which is why he’ll need to face every opponent he meets. The series has had a great reach with the public, as it was a pioneer in the sports sub-genre, so much that it’s been backed by the Japanese Football Association. Other Shounen animes that have followed the same theme are Hungry Heart, Slam Dunk and Inazuma Eleven. Yoshihiro Togashi, creator of the renowned series Yu Yu Hakusho, returned in 1998 to create a successful new manga that would be adapted to anime the following year. In it he presented Gon Freecs, a boy raised by his grandmother and aunt, who decides to become a Professional Hunter to find his father. On his journey to the Hunter exams, he’ll meet who will become his best friends, as well as many rivals in a risky world that’s bigger than he imagines. The first adaptation was paused while its manga was published, and it was followed by two OVAS arcs. But in 2011 the series was restarted, completing the missing arcs and accompanying them with two films. One of its most important arcs, the Chimera Ants saga, was written while the author was in poor health. And while the manga is still being published, at least us fans hope that Gon will get to reconnect with his old man. Based on a one-shot that would later become a regular manga of the Weekly Shounen Jump magazine. 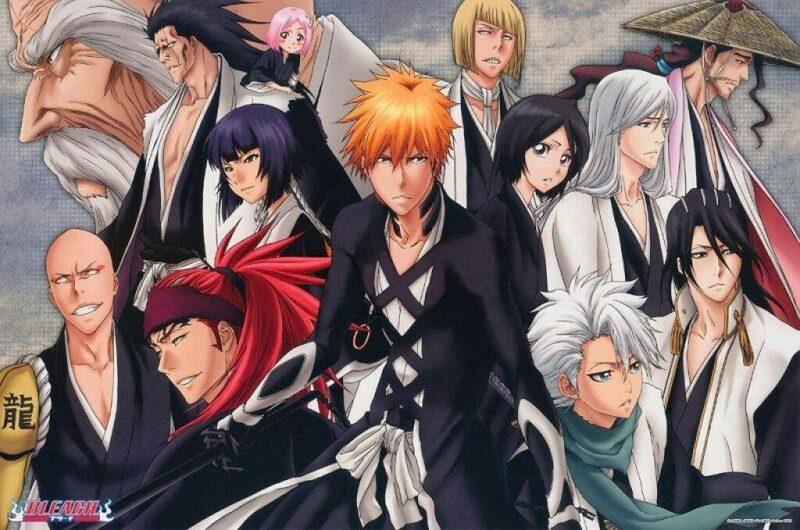 Its creator Tite Kubo tells the story of Ichigo, a teenager who can see ghosts after losing his mother. This allows him to meet the shinigami Rukia, who is weakened by trying to save him from a Hollow attack (a roaming soul that devours other lives and who looks like a masked monster), so he will have to give his powers to Ichigo so they can survive, forcing him to replace him while he recovers. This shounen series, with its sword fights and spiritual powers, would become a great success that would bring many video-game titles for two generations portable and table consoles. His anime adaptation remained on the air for 10 years on TV Tokyo, while his manga would take one more arc to end. Nobuhiro Watsuki manga series was adapted to anime in 1996, complemented by a couple of OVAs and a live-action trilogy produced by Warner Bros. The story takes place in Japan, around the Meiji era, where the deadliest samurai of the Bakumatsu revolution, known as the Hitokiri Battosai, lives as a vagabond to atone for his past sins. 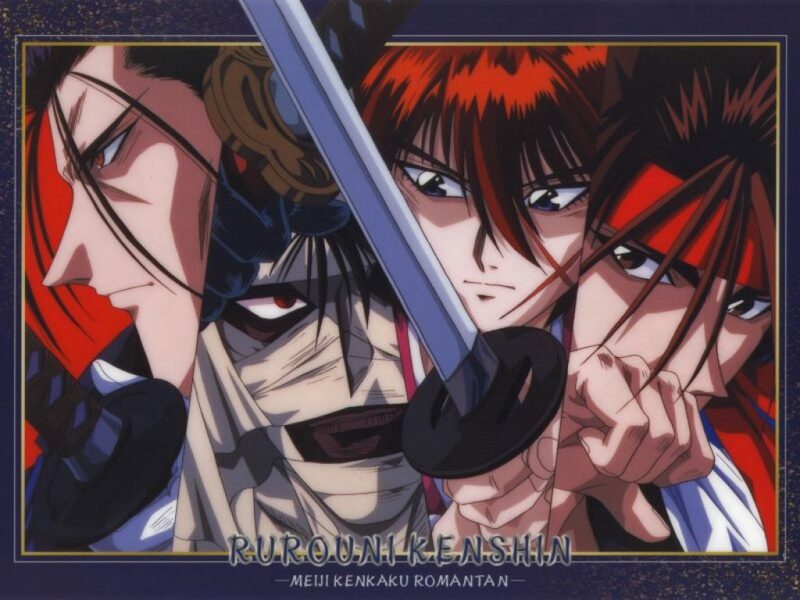 Thus, under the name of Kenshin Himura, he meets Kaoru, the owner of the dojo Kamiya, and after saving her, he begins his life with her as a righteous man who promises never to kill again. But the ghosts of the old era are something they will need to face to consolidate this new era of peace. The series stood out since its launch by introducing a repentant avenger whose philosophy of life is tested in each of his battles. While the historical addition consolidates the original work, its characters characterization and design have been greatly admired in the Shounen genre. Horimu Arakawa surprised us in 2001 with his homonymous manga, which became one of the most sold titles published by the Square Enix publishing house. This same success would be repeated in the West after being distributed by Viz Media. His first anime adaptation would have the same result, with the comic-dramatic adventure of the brothers Alphonse and Edward Elric. When boys, they were both being abandoned by their father, and when they lost their mother they decide to use human alchemy to resuscitate her. But being a banned taboo the result isn’t what expected, and following the alchemys exchange equivalence law, they end up losing something more to make up for it. When Alphonse loses his body, Edward manages to fuse his soul into an armor to keep him alive, losing an arm and a leg. And leaving their past behind, they go to the central city to become state alchemists, where they discover how to create a philosopher’s stone that will give them back their bodies. 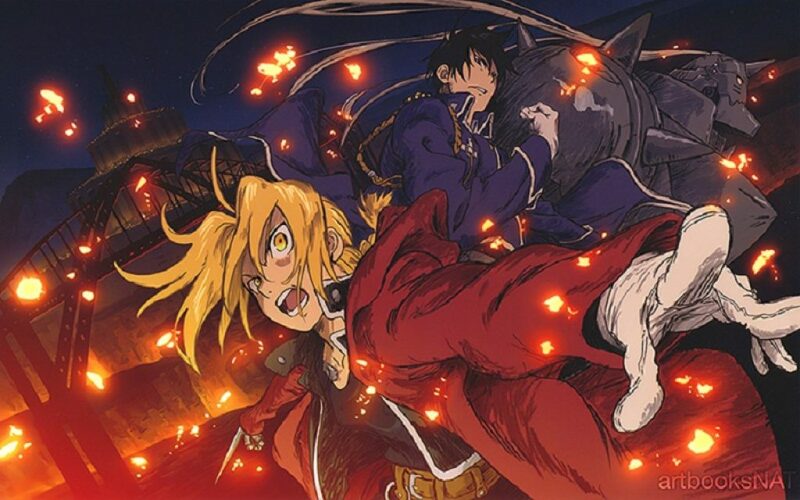 The first anime version developed by the Aniplex studio took the first chapters of the manga as a reference, but stopped halfway through the publication, creating an alternative ending that would end with the original film Fullmetal Alchemist: The Shamballa Conqueror. But years later the series with the title Fullmetal Alchemist: Brotherhood would be restarted, completely adapting the original manga to be more faithful to the work, which was complemented by a spin-off movie, Fullmetal Alchemist: The Sacred Star of Milos. In addition to having several video games for Playstation 2, PSP and Nintendo DS, it became one of the most licensed Shounen anime series of the last decade. From Masashi Kishimoto manga pages, the anime Naruto Uzumaki would be adapted, telling the story of a young orphan whose dream is to become Hokage, a ninja leader for the Leaf Village. And although he was marginalized throughout his childhood, on the way to becoming a ninja, he will make several friends with similar goals and discover that he possesses a great power which caused him to be shunned by the rest of the village. 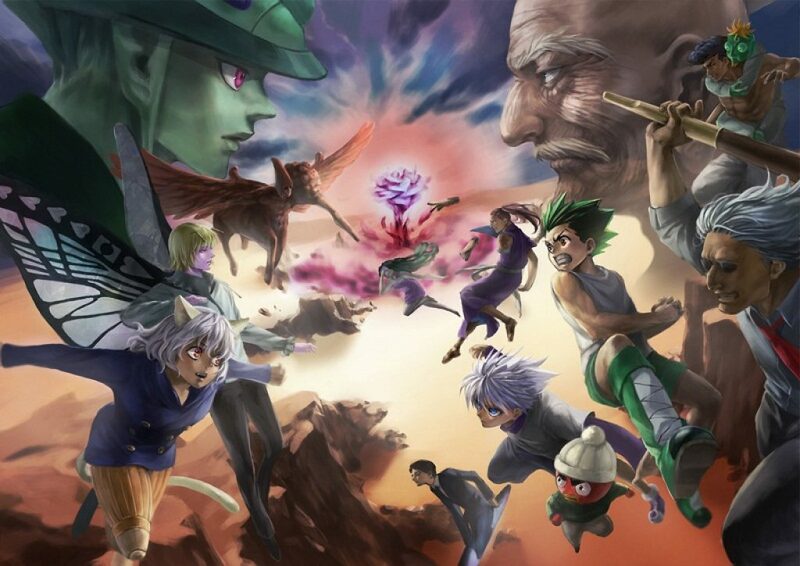 The series would have the same reception as the most popular titles of the publisher Shounen Jump, managing to have a great saga of shonen fighting videogames and platform for several consoles. But one of the factors that led him to stay at the forefront was the criticism of his content, which uses standardized shounen structures in a lot of its characters to facilitate target public identification. 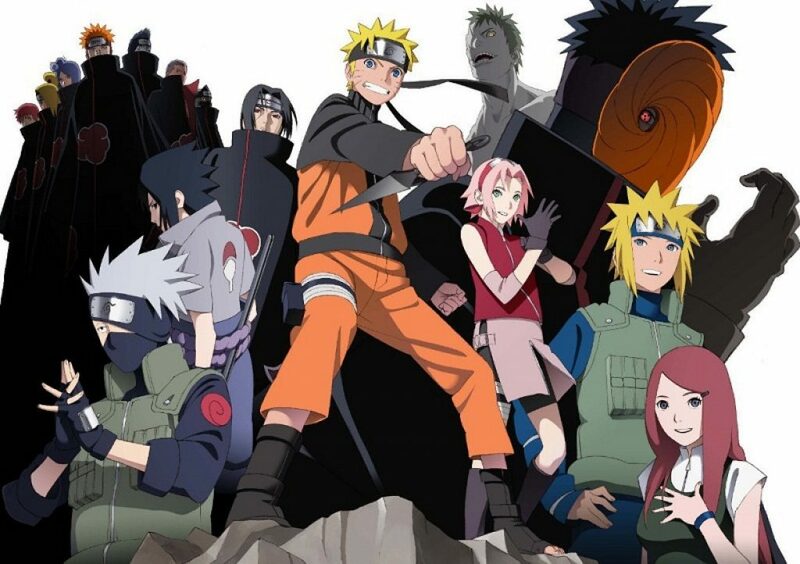 In addition, the anime would feature many filler arcs and original content films, aimed at keeping the franchise alive through a forced sequel. 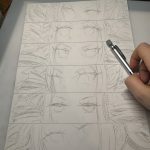 Kazuki Takahashi created the manga Yu-gi-oh! in 1996, which would have two anime adaptations, in which the last caused the current and famous collectible global card game. In it we see the young high school student called Yugi Mutou, who after solving the Millennium Puzzle lives with an alter ego called Yami. As Yugi is bullied at school, Yami takes his place using the Shadow Games. But through the card game Duel Monsters, he begins to make friends, confront his problems and face several rivals, of which Seto Kaiba was the most memorable. And while trying to discover who Yami is along with his new friends Tea (originally Anzu), Joey and Tristan (Honda in Japan), other Millennial Articles users can seek to own the Millennium Puzzle. 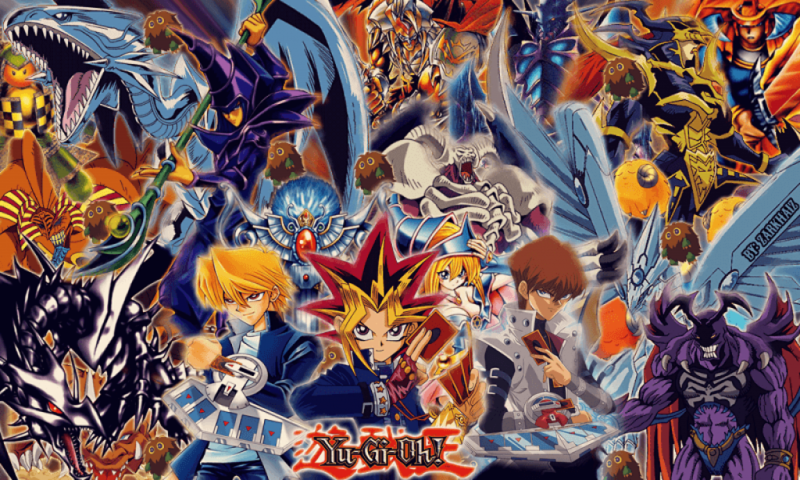 It has been 20 years since its creation and the franchise has five animated sagas, each of which has its own theme created around the powers of the Duel Monsters game. The card game, in addition to providing global competition, has promoted interactions within and outside schools on a global scale. Its structure would be repeated by other Shounen anime series but without falling under the shadow of this constant success, which has two films, having distributed the first throughout America including some of our countryÕs movie theaters. In 1986 Masami Kurumada created the manga and anime that weÕd get to know as Knights of the Zodiac. A Shounen series that focused on the orphan Seiya, who lives in a Greek sanctuary where he will fight to possess Pegasus bronze armor, which will allow him to protect the protective goddess Athena. But there are many who want the powers of the sacred armor, so the fight is constant and all of Athena protectors will emerge. But when they form the group they will notice that other gods conspire to conquer Earth. The manga has three main arcs with 29 volumes, the Sanctuary, Poseidon and Hades sagas. The anime adapted the first two, and was followed by four original films. But after a long wait in 2004 the series would be restarted from the last arc as OVAs followed by a fifth film that would try to start a new saga. The fanaticism for the franchise would continue with three animated spin-offs, Saint Seiya: Lost Canvas which works as an alternative prequel, Saint Seiya: Omega which takes place in the future -non official and not so distant-, and Saint Seiya: Soul of Gold which takes place after the death of the Golden Knights during the Hades saga. The original manga also had a spin-off called Saint Seiya Episode G and a direct sequel titled Saint Seiya: Next Dimension. There are many series with classic fights that are still remembered today, but none has remained in the public mind as much as Saint Seiya, which has led to many video games titles, museums, several reprints of the mangas in multiple languages, remastered versions of this anime series in physical format and countless collections of figures and toys, with the release of a CGI movie of Saint Seiya: Legend of Sanctuary. Based on the famous and unexplored game universe of GameFreak and Nintendo. The Pokémon anime told us the adventures of Satoshi (Ash Ketchum outside of Japan), a boy from the village Pallet who wants to become a Pokemon master, so he must undertake a journey away from home traveling the pokemon world with his only friend Pikachu. During his trip he will meet Brook and Misty, gym leaders, who will accompany him through the Kanto region while they win medals awarded when they win in the many gyms, to then participate in the regional tournament. But just like in the original videogame, he will face the dangerous Team Rocket, who use their rare pokemon to try and conquer the world. 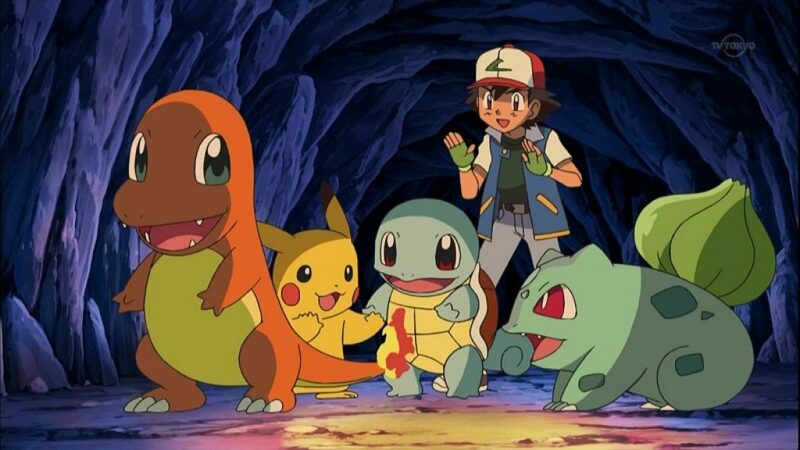 This means that Ash crosses paths with the henchmen Jessie, James and Meowth in almost every episode, as they try to steal his pikachu to give it to their leader Giovanni. The shounen series has continued adapting each arc of the different generations of the video game, having the immortal and never growing Ash as its protagonist in new equipment as he crosses each new region. Each saga was complemented by several films that expand the videogames universe with the rarest and most legendary pokemon. The relevance of the anime series lies in the continuity consolidated by a formula that manages to work in almost every corner of the world. Undoubtedly one of the factors that have managed to back the franchise throughout its long life, was the anime that managed to distinguish itself from its other products, in spite of the repetitive cycle in which series events occur. Dragon Ball, created by Akira Toriyama, was serialized by the Shounen Jump publishing house in 1984, becoming one of the most popular manga in history. Its adaptation to anime had the same luck, managing to cover all the arcs of his first 42 original volumes. Its characters are based on a reformed vision of the oriental classic Journey to the West, having a cosmic action theme. And Its protagonist is a strange boy with a tail called goku, who after meeting the intriguing Bulma will go on adventures to get the seven dragon balls that grant any wish. The first search is intercepted by the desert bandit Yamcha, followed by the evil King Pilaf who catches them in his castle. And after miraculously saving them and wasting the first wish from the balls, Goku continues his journey. But Goku group grows when he begins to train with the legendary Master Roshi along with another apprentice, young Krillin. To test the results of their training, both participate in the unique martial arts tournament. The adventure will develop into a constant strengthening of Goku power, who with his sacred staff and flying cloud will fight against evil. Goku personality, naive and animated persists throughout the following sagas. And the second generation of the anime, titled Dragon Ball Z, presents him married and with a son, with an arc that reveals his extraterrestrial origin. Each precursor saga maintains a level of cumulative content that instead of summarizing the saga, can be taken in its own. 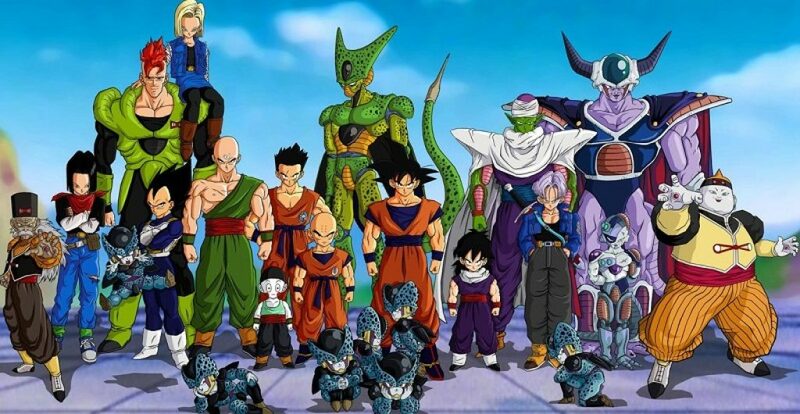 The anime has been transformed to different media, from fighting video-games, a series of OVAs, original films, the Dragon Ball GT spin-off and the sequel to the Dragon Ball Super manga, the horrific North American live-action Dragon Ball: Evolution (never again) and tv specials. Toriyama’s legacy has served as an inspiration for many young spectators who grew up watching Goku’s adventures. Some of them came to promote the humorous style in their own shounen mangas, such as One Piece. Gintama started as a shounen manga in 2003, which was published by Shounen Jump magazine. His theme parodied Japanese historical characters in a feudal Japanese society that had been invaded by extra-terrestrials. 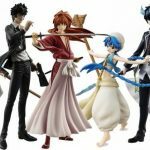 In it we see Gintoki, a former samurai who fought in the wars against the invaders as a rebel, but who now lives taking any job with his friends Shinpachi (an otaku who must raise money to keep his father’s dojo standing) and Kagura (a girl from another planet whose race is dangerous and powerful). During their first arc they are persecuted by the Shinsengumi leaders, when an old friend of Gintoki is seen talking to them, Katsura who currently leads the rebels. 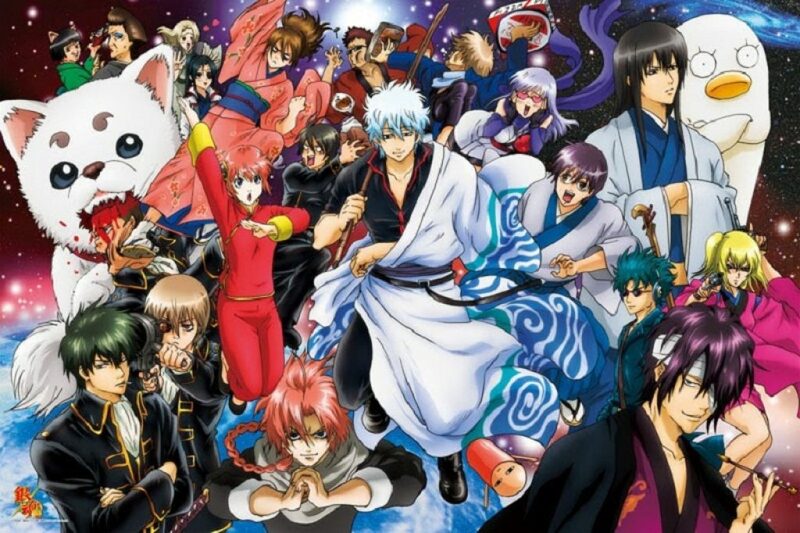 The series had legal problems when it finished filming its first two films, produced by Warner Bros, leading to it being continued under another animation studio with an arrangement in the original title (basically added a ° at the end of Gintama). The range of pop characters, comic scenes, parodies from other series, embedded with serious arcs of lethal confrontations and a constant return to TV makes this series a deserved recommendation to those who wish to explore the world of Shounen animes. Some Shounen series were left out even though they were on par with those mentioned above, including Beyblade, Digimon, One Piece, Shaman King, Medabot, Inuyasha, Ranma 1/2, Yu Yu Hakusho, Hajime No Ippo, Jojo BizarreÕs Adventure and Detective Conan. Stay tuned for our next rankings.